I'm so excited to share these with you! 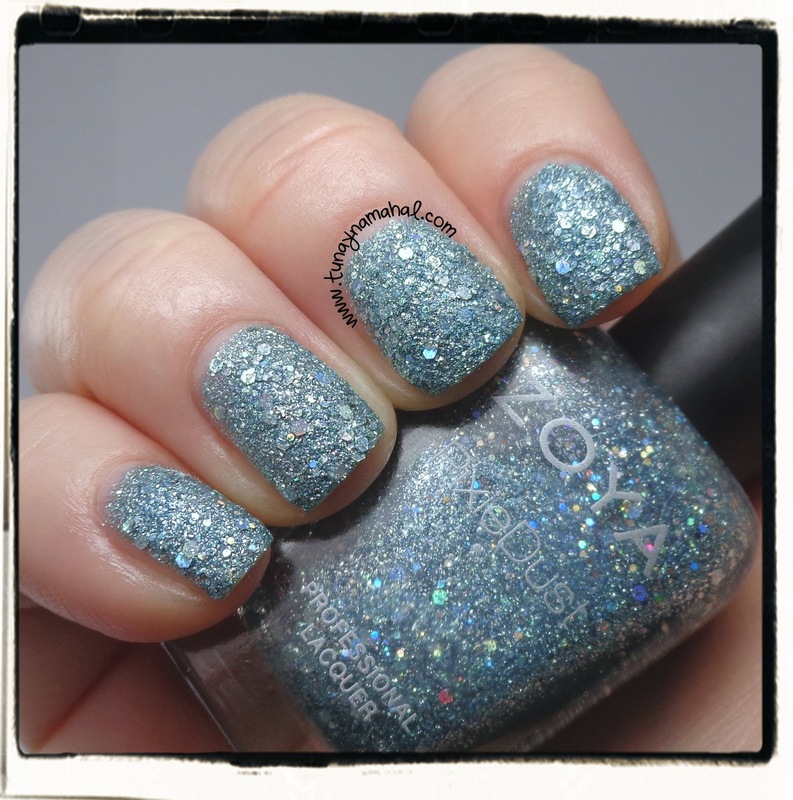 The Zoya Magical: Holographic PixieDusts for Spring 2014. There are three colors in the collection: Cosmo, Vega & Lux. I couldn't wait to try them out when they arrived on Tuesday, so I've been wearing Cosmo all week long. I did not get any chips. These wear like iron, just like the other PixieDusts. Removal was not so bad either, but lately I've been using 100% pure acetone. When the press release came out I wasn't sure how I felt about the addition of the holographic glitter, I thought it would make the polish harder to apply or make it look clumpier. 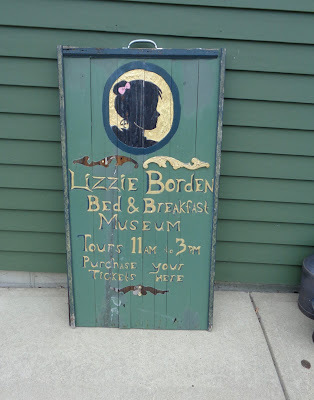 I did not have any issues with application, I only needed two coats. I did one thin coat and then another thicker coat. They dry fairly quickly. They are a bit rough in texture right after application, but after a few hours dull down a bit, like the other PixieDusts I've worn. Cosmo: I felt like I was wearing crystals on my nails when I wore Cosmo all week. My nails were so sparkly! 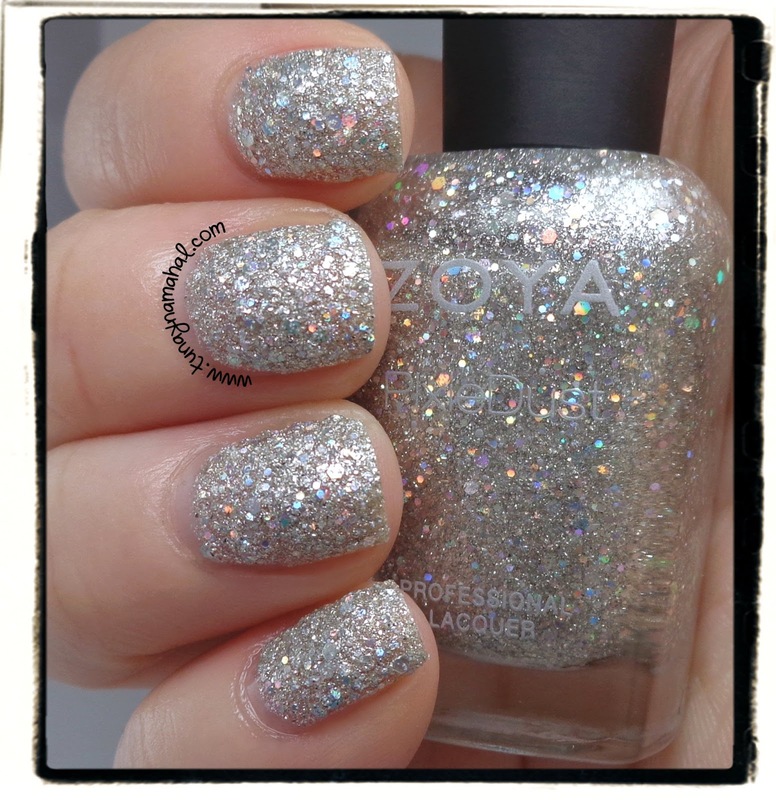 It's a gorgeous silver color & the holographic glitter is visible in low light and sunlight. It's definitely my favorite color out of the three. Vega: is a pretty sparkly blue. This is two coats. Lux: is a beautiful rose pink. It's my 2nd favorite out of the three. Two coats. 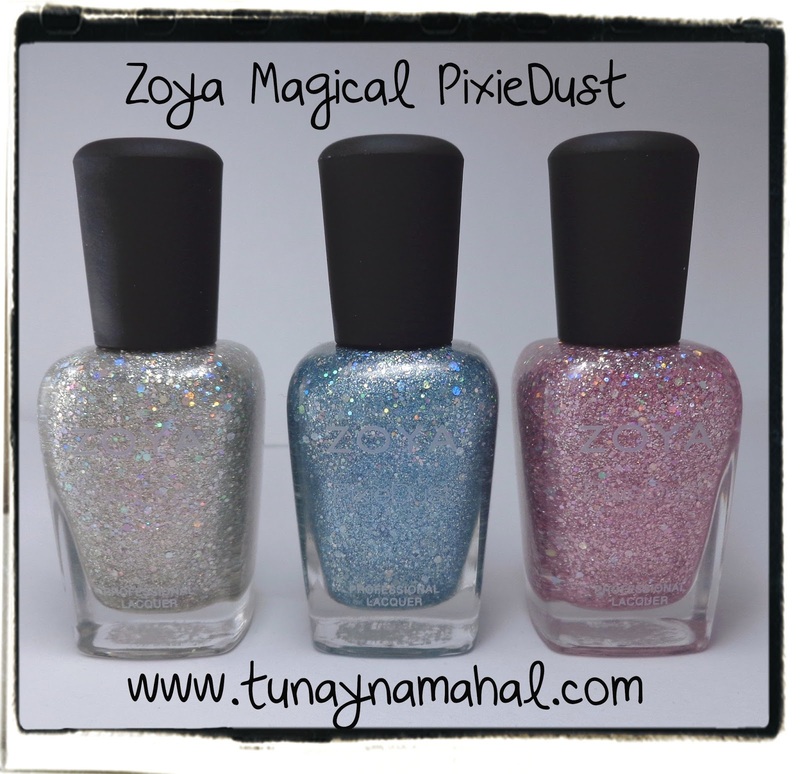 Which Zoya Magical PixieDust is your favorite?